Our school conducts professional training courses (initial, advanced and continued) leading to a diploma in Dramatic Corporeal Mime (MCD) fol- lowing the Etienne Decroux technique. The course examines the fundamental principles of the method, initiating the student into his way of analysing movement and his underlying philosophy. Study of dynamic figures to develop the participants’ awareness of form and rhythm. 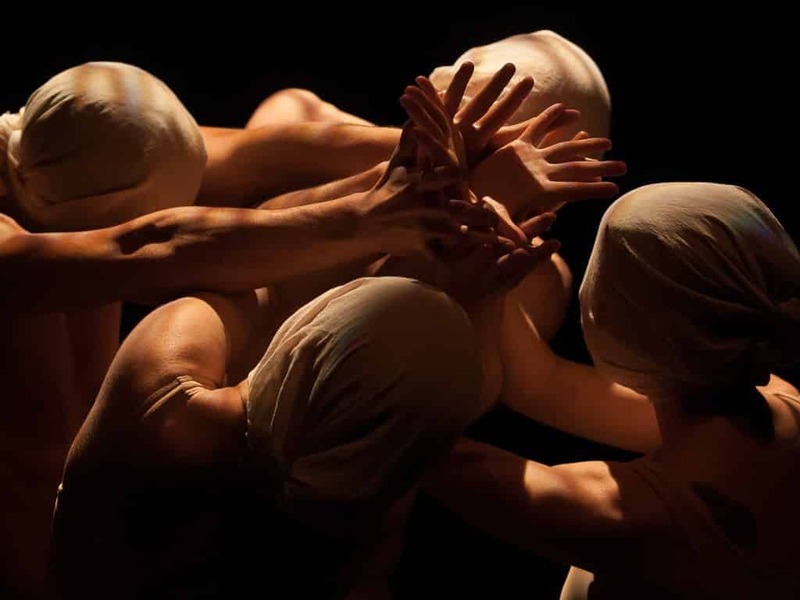 Throughout the school year, improvisation and semi-improvisation themes, entailing solo, duo and group work will be offered, placing the accent on physical expression, interpretation and the creative skills of the participants, by confronting them with the demands of physical theatre. To assist students in their creative endeavours, creative sessions will be offered one Tuesday afternoon per month. These sessions enable the progress of each student to be evaluated with respect to the specifications of the teaching team. Starting in the second year, the study of Etienne Decroux’s repertory will be offered. This course gives students a chance to tackle the solo, duo and group pieces that have contributed to the development of the art. Dealing with the essential aspects of human drama, such as the human struggle, work, the passion of love or even dreams, the pieces studied provide students with many opportunities to confront the demands of our Art, while perfecting their corporeal virtuosity and interpretative skills. The acrobatics course offers physical and acrobatic instruction suitable for both amateur and professional performing artists. To prepare the artist for the physical demands of the corporeal theatre course, these training sessions will concentrate on muscle strength, flexibility and physical resistance. The course invites students to practise floor-based acrobatics, adagio (duo acrobatics) and charivari (group acrobatics). This course also gives students the opportunity to take note of their physical abilities and to establish a relationship of trust with the floor and their partners. The classical dance course develops students’ flexibility, musculature and correct posture. This enables students to acquire strength and tone in their movements, endurance and good balance. This course offers eather some lectures on the history of Mime and Theatre in general, a sort of series of lectures dealing with the history of Mime, its influences, the founding fathers and the different currents as well as the historical contexts which have witnessed the budding and blooming of this art. It will also offer contact with invited very well know artists giving so parallels with other art forms (theatre, cinema, dance, puppetry, circus, clowning, etc.). For 9 hours per week, the classroom is left at the disposal of the stu- dents. This time enables students to take on board and perfect the exercises studied during lessons. It also involves the development through individual work of solo, duo or group presentations for which the themes will be proposed by the teaching team. Theatrical Acrobatics courses, being secondary disciplines, are thus no longer consi- dered mandatory for third year students. Nevertheless, we encourage stu- dents to participate in all the courses offered, even if they are not specifi- cally relevant to them. The diploma course of the Mime Artist, runs over 2 years, the first year (1) and the second year (2). The diploma course of the Mime Teacher, runs over an additional and third year (3). The Repertory courses of MCD-R are reserved exclusively to the second (2) and third (3) years. The third year (3) is restricted to students holding the School diploma who wish to perfect the technique of Mime and specialise in the trans- mission and teaching of Dramatic Corporeal Mime. The courses are open to professionals in performing arts as well as all persons wishing to acquire qualifications in Dramatic Corporeal Mime and more generally to anyone who feels the need to obtain greater corporeal ease. The number of participants per class is limited to 18. Applications to enrol are accepted all year round! Ivan Bacciocchi trained as an actor at the Teatro Laboratorio di Cesena under the direction of Franco Mescolini. While a student at the Ecole de Mime Corporel Dramatique run by Étienne Decroux, the founding father of modern Mime, Ivan was invited to participate in the master’s research classes as his assistant. At the Théâtre de l’Ange Fou, the theatre company-school run by Steve Wasson and Corinne Soum, he taught students for 8 years and created various shows in which he played the main roles. Ivan has taught in numerous Mime schools, including 10 years at the Ecole Internationale de Mimodrame Marcel Marceau. In 1988, he opened his own Centre de Formation (training centre) which became the Atelier de Belleville, Ecole Internationale de Mime Corporel Dramatique, Centre de Formation et de Création where he directs both the teaching and artistic aspects. With his company Compagnie Commedia, he has directed various presentations such as Prokofiev’s « Peter and the Wolf » and « Barbe Bleue - Copie conforme » (Blue Beard - Certified Copy), touring in France and abroad. 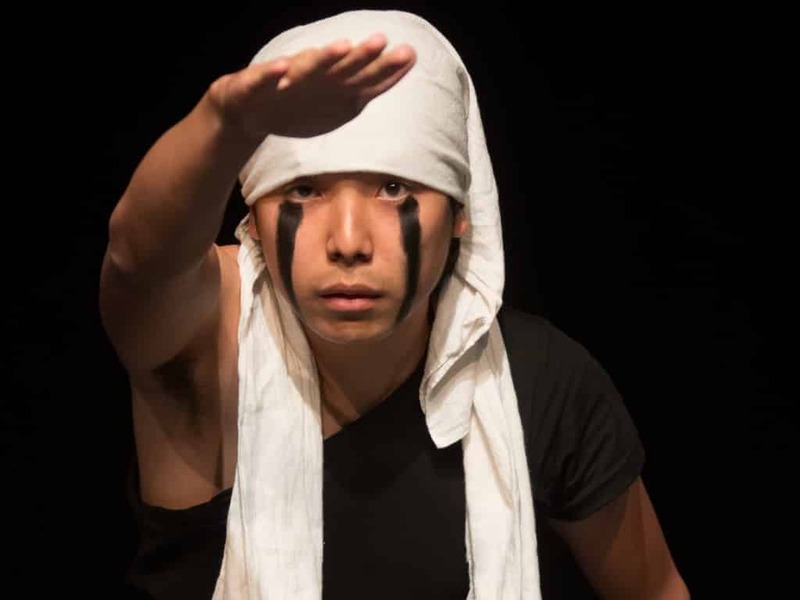 More recently at the Théâtre du Mouvement, directed by Claire Heggen and Yves Marc, he participated in the creation of several shows including « Blanc sous le masque » (White under the mask), « Faut-il croire le mime sur Parole? » (Should we take the mime at his word?) (350 performances in France and abroad) and in the recent show « Je pense donc ça se voit » (I think, therefore it shows). As a Master of Dramatic Corporeal Mime, Ivan Bacciocchi has also taught at the University of Paris 8, Ecole du Samovar, Ecole National de Cirque in Chatellerault, Conservatoire d’Art Dramatique in Cambrai, and given instruction at the Musée du Louvre, Grand Palais and Musée d’Orsay as well as participating in Lectures and Demonstrations at the Centre National du Théâtre CNT in Paris, in Brussels and at the Teatro « La Soffita » in Italy. Natalie Stadelmann Member of the artistic group Houdini in Lucerne (Switzerland) which essentially uses short films and happe- nings as a mode of expression, Natalie’s first experiences of perfor- ming art were in Theatre. In 1993, she enrolled at the School of Fine Arts in Lucerne. After a brief time with the Scuola Teatro Dimitri (Switzerland), she studied Mime for 3 years at the Ecole Internationale de Mimodrame Marcel Marceau in Paris while pursuing university studies in Theatre at the Sorbonne Nouvelle Paris III University. She has created various numbers for the shows of the Compagnie Commedia including « Peter and the Wolf » and « Bluebeard », perfor- med in France, Germany and Italy. Since 1996, she has been teaching in different establishments in Paris and since 2001 she has closely assisted Ivan Bacciocchi with the teaching programme of the Ecole internationale de Mime Corporel Dramatique. In 2007, she came top in her Master 2 in Médiation Culturelle (Cultural Management). Currently, she divides her professional life between professional trai- ning in the Art of Dramatic Coporeal Mime and cultural management. Gustavo Anduiza is an actor, dancer, and gymnast. He studied at the La Arena circus school in Argentina. In Paris, he undertook further trai- ning at the International Centre for Performing Arts of the Fratellini Circus Academy and studied performing arts at the Paris 8 University. He has created and taken part in various shows and is currently wor- king on new material with his troupe. Founder and director of the circus department at the Amalia Ruiz gym- nastics school in Argentina, he currently teaches at the Fratellini Academy; he runs the theatre workshop of the Maison de l’Argentine at the Cité Universitaire, and in 2013 he joined the l’Ecole International de Mime Corporel Dramatique to teach theatrical acro- batics. Darrell Davis is a classic dancer in Dance Theatre of Harlem, New York, the USA, from 1978 till 1986, Darrell Davis arrives in France in 1986. He works then with the choreographer Rheda and participates in numerous performances on the television and on stage before joining the national Dance studio of Grenoble in 1991 as interpreter then, as assistant of Jean-Claude Gallotta and repeater of the company. He assures the transmission of the directory of the latter with numerous companies in France and abroad. Holder of the diploma of State in ballet dance since 2009, Darrell Davis taught CCN Grenoble but also CND Paris and Lyon, the Higher National Conservatory for Music and Dance of Paris, the Australian Ballet and within the company DV8. € 4,500 incl. tax: tuition fees** due in instalments over the training course.training course.du déroulement de l’action de formation. The courses are open to professionals in performing arts as well as anyone wishing to acquire qualifications in the art of Mime. There are no real knowledge prerequisites demanded for entry into the first year of training. Nevertheless, the prior practice of a sport or artistic discipline is an important asset. Applications, enrolment fee 2019/2020 are open as of January 2019. To apply, please send us a duly completed application form with 3 passport photos, your CV and a cover letter. Please include a self- addressed A4 envelope for our reply. We welcome any additional documents such as DVDs, artistic photos, press cuttings, etc. that will help us establish your profile. Selection will be based on the application documents. Selected appli- cants will be informed (by post or email) and will then receive two ori- ginal copies of the training agreement by post. Next, as soon as possible and no later than 1. Septembre 2019, the duly signed and dated training agreement (received by post) must be returned to the School. For a ten-day period beginning on the date of signature of the agreement, the applicant may revoke the agreement by registered letter with acknowledgement of receipt. At expiration of the ten-day revocation period, enrollment will be considered confirmed and the enrollment fee of €500 incl. tax will be due. Payment may be made by cheque (made out to the Association Commedia) or bank transfer. Transfers must be made to the account number of the Association Commedia. You can request the RIB or IBAN of the Association Commedia account either by telephone or email. These will be sent to you by post. (Bank charges for transfers are to be paid by the student). *The enrolment fee corresponds to the administrative charges incurred on the student’s enrolment and covers all administrative procedures, assistance and file management, assistance with applications for visa, grants and subsidies from third parties such as AFDAS, etc. The enrolment fee is to be paid in full at expiration of the revocation period. **Tuition fees are linked to training course activities and are voted by the Board of Directors of Association Commedia. Tuition fees may be paid by instalment as the course progresses according to a schedule predetermined by the School and agreed upon by the student. The final instalment must be paid no later than 01.06.2019. Tuition fees are due whether or not the student attends classes regularly. Accordingly, a student who is absent is still required to pay for tuition, regardless of the reason for absence. Tuition fees are due for every academic year commenced. The fees and detailed information provided herein are subject to change and correction. If for a duly recognised case of force majeure, the student is unable to continue the training course, the professional training agreement will be terminated. In such a case, only the services actually provided will be charged for, on the basis of the tuition fees, proportional to the value stipulated in the agreement. The application fee will not be reimbursed. The administrative academic year begins on 27.09.2019. Classes begin on Monday 30.09.2019 and end on Friday 26.06.2020.